Lemongrass (Cymbopogon citratus/C. flexuosus) is a fragrant, lemon-scented grass that is native to Asia. There are two main types of this variety in the Poaceae (Gramineae) family, West Indian and East Indian. Lemongrass essential oil smells like lemony citrus, as its name would imply. The West Indian variety has a grassy earth smell and is fairly dark, while the East variety is lighter in tone and has a more green scent than its counterpart. The name Cymbopogon comes from the greek 'kymbe' and 'pogon,' which mean 'boat' and 'beard,' respectively. The moniker stems from the arrangement of the flower spikes, growing up singularly from the ground and fanning out concentrically. There are around 55 plants in this genus, including palmarosa (C. martinii) and citronella (C. nardus). One of the main benefits members of this genus share is that they are excellent at repelling a variety of insects, and lemongrass does this well. Although many oils sound similar, it is important to check the botanical name, so you do not get them confused. For instance, this particular one should not be confused with lemon (Citrus limon), lemon balm (Melissa officinalis), or lemon verbena (Aloysia citriodora). There are two primary types of this plant. Cymbopogon flexuosus or Andropogon flexuosus is East Indian lemongrass and may be referred to as malabar, British Indian or cochin lemongrass. In some areas, it is called French Indian verbena. Cymbopogon citratus or Andropogon citratus is the West Indian, Madagascar, or Guatemalan lemongrass. Both plants' oils share the two main constituents that make up citral, the aldehydes geranial and neral. Citral gives the plant its characteristic lemony scent. These two aldehydes make up more than half of the total of each oil, up to 90 percent. Because of this, they are often used interchangeably. While they are relatively safe, they should not be used during pregnancy or by users on multiple medications, especially medications intended for diabetes. Lemongrass is frequently used in Asian and Indian cuisine. The aromatic grass imparts a delectable fresh, green, citrusy flavor that is integral to many dishes. The essential oil has many uses and benefits. It blends well with forest oils like pine (Pinus sylvestris) and cypress (Cupressus sempervirens), spice oils like black pepper (Piper nigrum), mint and citrus oils, and many florals. Lemongrass is used extensively in the food and beverage industry. It is also a popular fragrance addition to cosmetics, deodorants, detergents, perfumes, and soaps. You can put this versatile oil to use in many ways at home as well. Some essential oils can be a tantalizing addition to culinary creations. Lemongrass blades are full of healthy vitamins and are often used in cooking, and the plant is especially favored as an ingredient in Thai food. The volatile oil of the plant can be used in cooking as well. In Valerie Worwood's "The Complete Book of Essential Oils and Aromatherapy," she has an entire section devoted to this. Lemongrass oil is mentioned as being a good additive to homemade jellies made to accompany your poultry or red meat, grains, and vegetables. When using essential oils in the kitchen, it must be remembered that they are not the same thing as an extract and the two cannot be used interchangeably in recipes. Using the same amount of a volatile oil as you would an extract would overpower and ruin your creation. It is often enough to use a single drop for scenting and flavoring purposes. In smaller recipes or to flavor drinks, it is usually best to dip a toothpick in the essential oil and then swirl it into whatever you are making, as a little goes a long way. Use the toothpick method the next time you want to add a little flavor to a hot cup of tea. Or, if you have some of the fresh blades available, use them along with some honey to make up a batch of some tasty lemongrass tea. Ingesting lemongrass or any other oil on its own is never a good idea and can cause harm. However, when done correctly, it can provide a ton of flavor and some health benefits to boot. At its core, aromatherapy is the quintessential way to use oils, and diffusing them has become standard in many homes and offices. They can be used to scent the areas or to create a particular ambiance and mood. The oil is likewise beneficial in times of depression or grief. When spirits need to be lifted, blend lemongrass with other uplifting antidepressant oils like neroli (Citrus aurantium), lavender (Lavandula angustifolia), Melissa (Melissa officinalis), and Mandarin (Citrus reticulata). While diffusing is the most popular way to enjoy the healing properties of oils, massage is a close second. Lemongrass can help with inflammation and is an analgesic, so it is a great choice in oils meant to soothe aching muscles and joints. The oil also helps with the toning of the skin as well as contracting weak connective tissue. This makes pure lemongrass oil a favorite among those who are dieting or are battling cellulite. First, mix the carrot root oil in with the carrier oil, then add the essential oils and blend well. If you do not have access to macerated carrot root oil (not to be confused with carrot seed oil), you can also use sea buckthorn oil (Hippophae rhamnoides). Since this massage oil blend contains lemon oil, which is a photosensitizer, it should not be used before being outside in the daytime. Nothing beats a relaxing bath to wash the day's worries away. Adding essential oils takes it from a regular experience to something truly spectacular. Oil additions to the water can have many healing benefits as well. You can soothe tired muscles, uplift your spirits, help combat skin issues, and fight insomnia, among other things. If a good mood and night's sleep is what you are after, use lemongrass alongside oils like lavender (Lavandula angustifolia), sweet orange (Citrus aurantium), and Roman chamomile (Anthemis nobilis). The health benefits of lemongrass and its volatile oil have long been appreciated. The plant's medicinal history dates back to the first century at least, to the days of the Greek physician Dioscorides and Pliny the Elder, a Roman philosopher. Today, both the plant and oil are still used to help us look and feel better. Amazonians use lemongrass to regulate menstrual cycles, reduce fevers, and aid in digestion. People in India use it for the same things, as well as applying it to the skin to rid it of ringworm infections. And in Indonesia, it is not only used for these things, but for coughs, headaches, and as a febrifuge to reduce fevers. The following are just a few of the ways to harness the healing benefits of lemongrass oil at home. The volatile oil of lemongrass is both astringent and anti-infectious. It can be used for almost any skin condition you can think of, because it is quite gentle for most people. The following suggestions show just a sampling of the uses of this versatile oil. The antiseptic and astringent properties of lemongrass are helpful in reducing acne. It can be especially helpful for blackheads (comedones). Shake well prior to use. Spray on a cotton pad and wipe the face well after cleaning to remove leftover traces of lotions, makeup, and dirt left from the day. Large pores, skin tone, and acne alike can benefit from steam treatments using lemongrass EO. Add 3-5 drops of the oil to a bowl of steaming water. Place a towel over the back of the head and position your face about 12 inches away from the bowl for 10-15 minutes. An added bonus to this method is that it can help clear the sinus passages and airways, especially when used in conjunction with an oil like eucalyptus (Eucalyptus spp). If you get dizzy or start to feel lightheaded or weird in any way, stop the treatment. Add five drops each of lemongrass and manuka (Leptospermum scoparium) to two teaspoons of a carrier oil like coconut (Cocos nucifera) or organic apple cider vinegar (ACV) and rub between the toes and all over the feet after cleaning. A cleansing oil can be just as effective as soap and water without the drying effect that the latter usually has on the skin. While this may seem counterintuitive in that you may think a cleansing oil would exacerbate acne or make the skin oilier, many people find that opposite to be true. In fact, using water-based cleansers and soap can actually do this by stripping natural oils, which in turn can cause your skin to overproduce oils and cause more blemishes. 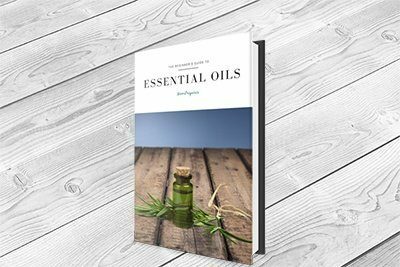 Besides lemongrass, you can choose oils like rosemary (Rosmarinus officinalis), lavender (Lavandula angustifolia), spearmint (Mentha spicata), sweet orange (Citrus sinensis), and geranium (Pelargonium graveolens), among others. Add this to your regimen along with the astringent toner above, and you may be pleasantly surprised by the results! Adding a couple of drops of essential oil to water or an organic vinegar can make an effective wound wash. Because of the antimicrobial properties of lemongrass, it is a good one to reach for when bumps and scrapes occur. These are not the only ways to use the oil for skin care, but you get the idea. While lemongrass is fairly mild, it is important to do a skin patch test prior to using as it can cause sensitization and irritation in some people. Speaking of bumps and scrapes, lemongrass is an analgesic EO, so it is good for easing the pain of overworked muscles and joints. Sometimes less is more, and that is never truer than with essential oils. You can make a super simple blend for this ailment by mixing peppermint oil (Mentha piperita) with lemongrass in an even ratio then mix in coconut oil (Cocos nucifera) and rub it in where it hurts. Certainly not the least of its many benefits, the essential oil of the lemongrass plant is a tonic to the nervous system. Lavender and lemongrass not only blend well together, but they can also be a knockout combination when it comes to combating stress and nervous tension. You can add the oils to your bath, a massage blend, or to your diffuser to reap the benefits and banish the blues. The mix can help you relax and get some much-needed rest, as well. A search for "lemongrass essential oil" on PubMed brings back over 800 results at the time of this writing, make it one of the more studied oils around. While clinical studies are lacking for many applications, there are a ton of promising results for the future study of this plant and its oils and extracts for a large number of uses. Candida overgrowth can cause a large number of issues in humans, ranging from vague symptoms such as fatigue and headaches to more pronounced presentations like thrush and yeast infections. In some cases, candidiasis can be life-threatening and fatal. As pathogens have become increasingly resistant to the drugs usually used to treat them, there is a rising interest in finding natural solutions. Essential oils are gaining traction in this area and scientists are taking more interest in their possibilities. Lemongrass has a long history of use medicinally dating back to the first century. Science is finally catching up and starting to prove that our ancestors were on to something and that there is a valid basis for the plant and oil's traditional uses. The plant is also a culinary treat, and the essential oil can be used in the kitchen sparingly to enhance dishes. As long as you are not pregnant or on multiple medications, the versatile oil of lemongrass can be used in a variety of ways at home. Just be sure to research it well, look for the botanical name, and only buy from a reputable source.